If It's Too Loud...: Julia Jacklin - "Leadlight"
I have no idea how there is so much great Americana coming out of Australia and New Zealand lately, but I'm thrilled about it. After being blown away by Julia Jacklin's "Pool Party," I've been impatiently waiting to hear some more. Luckily, we now have "Leadlight." "Leadlight" is in the same vein as pool party, with a chilled out groovy take on Americana and country. What truly makes Jacklin stand out is her voice. It's tender without being fragile, and has this haunting quality to it. She's familiar and unique at the same time. We also finally have information on Julia Jacklin's debut album. Don't Let the Kids Win will be out on October 7 on Polyvinyl. You can watch the video for "Leadlight" below. A good chunk of it was filmed on the stage she performed musical theater on in high school. 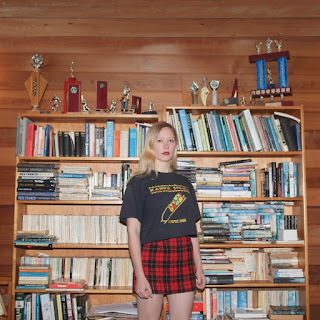 For more information on Julia Jacklin, check out her website. You can find her current, and quite extensive tour dates, below the video.